Sales have a dirty secret: the average rep spends only one-third of their time actually selling. That means they spend around three and half days each week engaged in tasks that don’t contribute anything to top-line revenue generation. 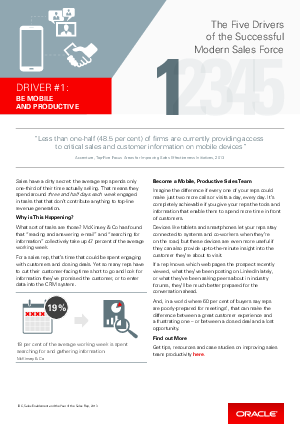 Download this paper now to find out how to improve your sales team productivity.